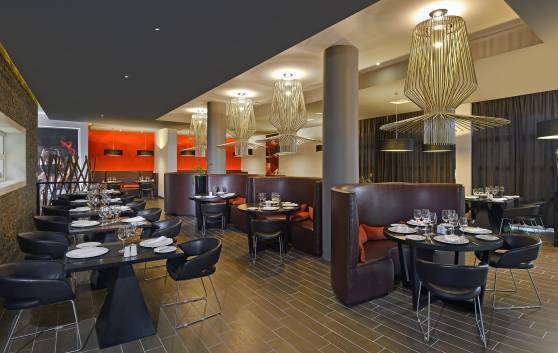 A la carte restaurant serving a choice of dishes and the best of international cuisine. Only for Royal Service guests. Area for smokers. Exclusively for Royal Service guests. 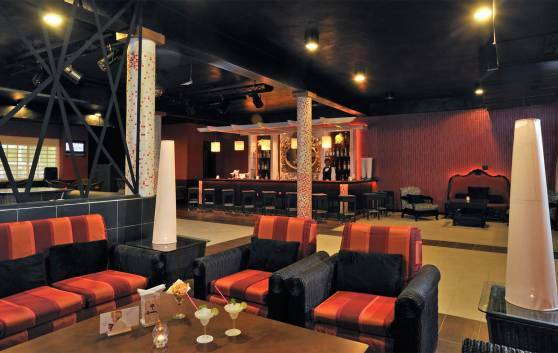 A choice of premium beverages, rums, snacks and a wide selection of Cuban and international cocktails served in an atmosphere of luxury and elegance. Opened 24 hrs. 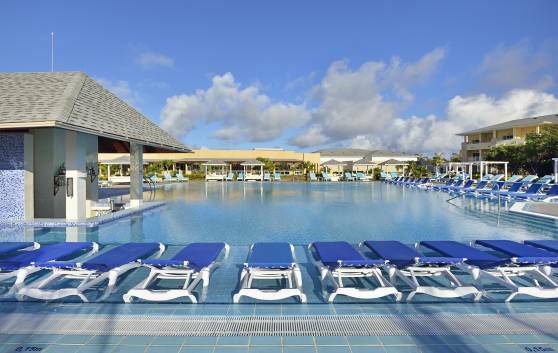 Swimming pool bar with pool and concierge service for Royal Service guests only. 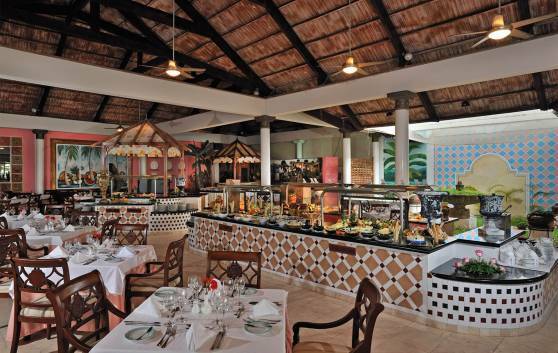 The Ara buffet restaurant specializes in Cuban and international cuisine. 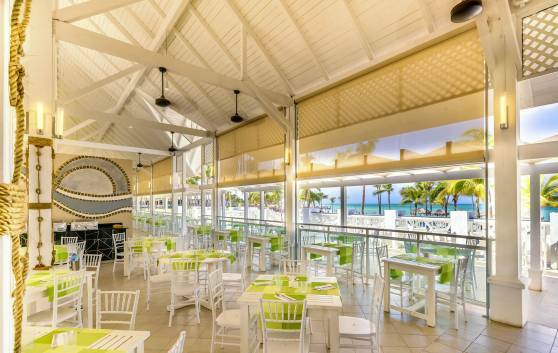 Enjoy this new concept in All-Inclusive buffet restaurants, with its new multiple choices and unique presentations, accompanied by the best wines, fruit juices and beer. Currently being refurbished. Operational as of November 15, 2019. 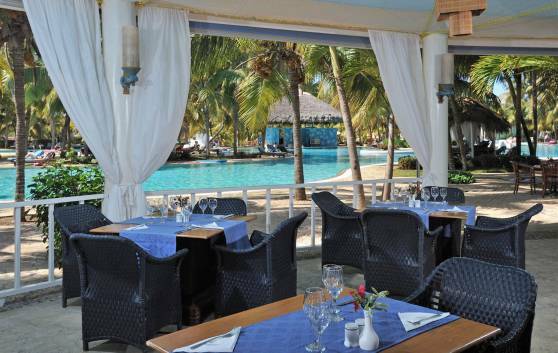 Located only 10 meters from the water at beautiful Varadero beach, this cozy beachside restaurant offers delicious grilled seafood in a wonderful marine setting. 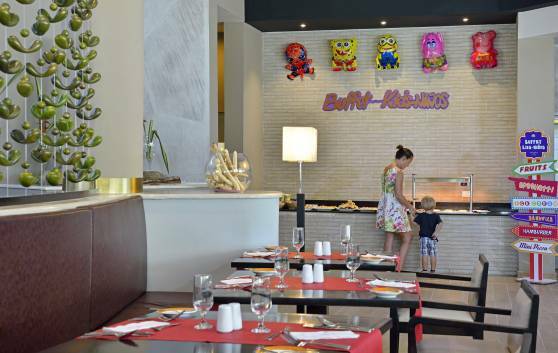 This Buffet restaurant, located in the Kids Club, offers an exclusive service for children, with fresh, healthy dishes. 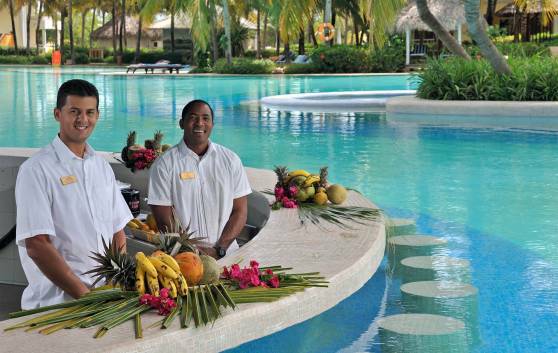 Alongside the games and entertainment options, they can enjoy a varied menu including delicious tropical fruit. 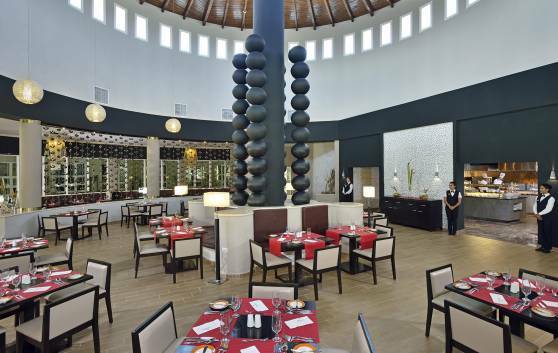 In a very special setting, our Gourmet Restaurant offers a varied menu to enchant your palate. A blend of colours, flavours and new sensations, especially for you. 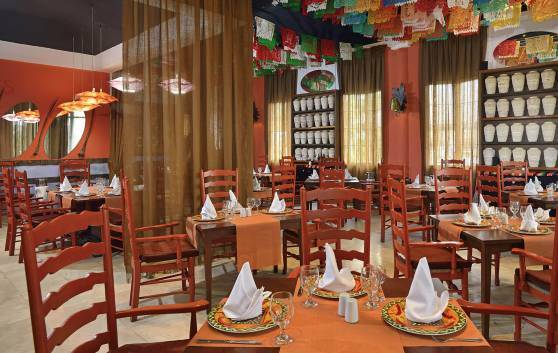 A fabulous fusion of two culinary cultures, our restaurant offers a variety of dishes in true Tex Mex style. 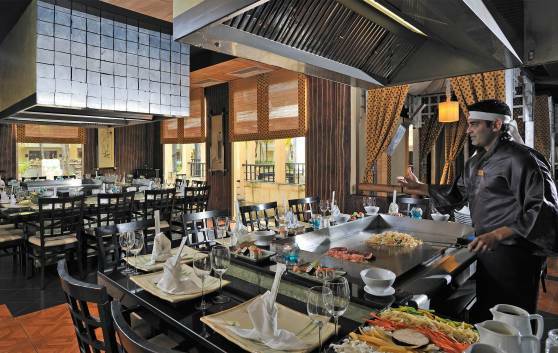 An exquisite teppanyaki-style Japanese restaurant for guests to be carried away by their senses as they enjoy an exotic culinary experience. This is an innovative opportunity to experience a whole world of sensations, harmony and flavour to satisfy the most refined of tastes in a stylish and private setting, with imaginative dishes to seduce the eye and spoil the palate. 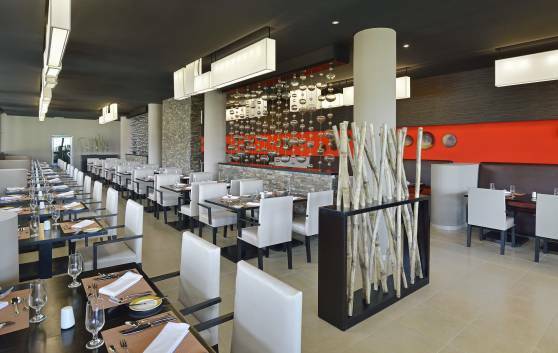 It has a sushi bar for savouring sake and entrées. Excellent conditions for guaranteeing the creation of outstanding dishes, with their stunningly beautiful presentation and combination of subtle flavours. 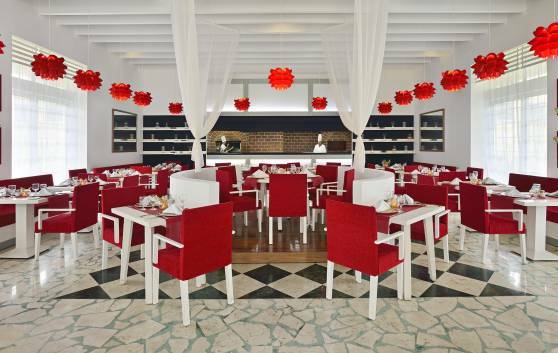 Each night is different at the romantic Turey restaurant. 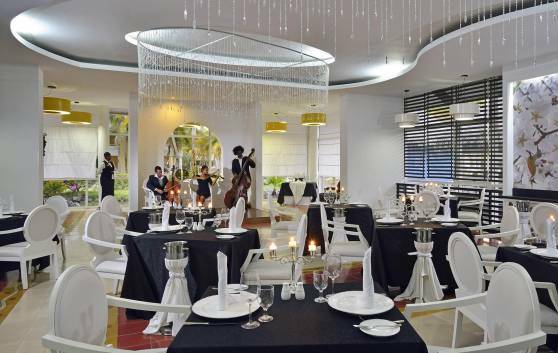 Its cozy ambience is ideal for good conversation as you enjoy an exquisite candlelit dinner, livened by the sweet sound of violins. Your evening will truly be a memorable event. 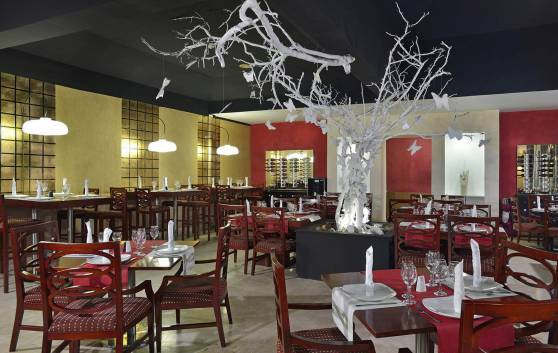 “Vento” is a truly unforgettable experience for those who experience its exquisite blend of flavours, to delight the most discerning of palates. 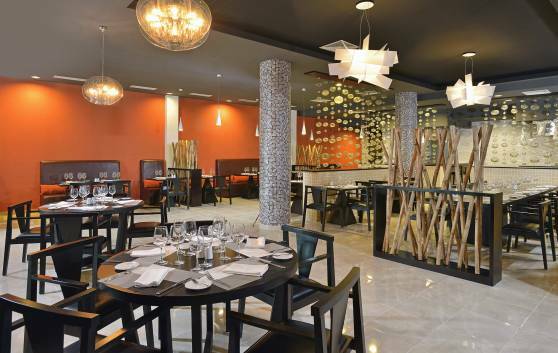 Lovers of Mediterranean food will find this restaurant the perfect place for getting a feel for the true spirit of this cuisine. 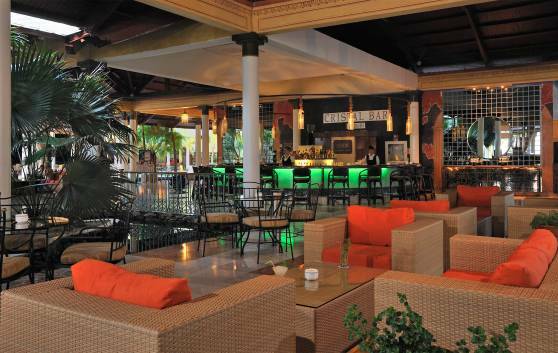 From the unique Varadero sunset into the early hours of the morning, the "Areíto" Fun Pub is always ready to give you the best of times. 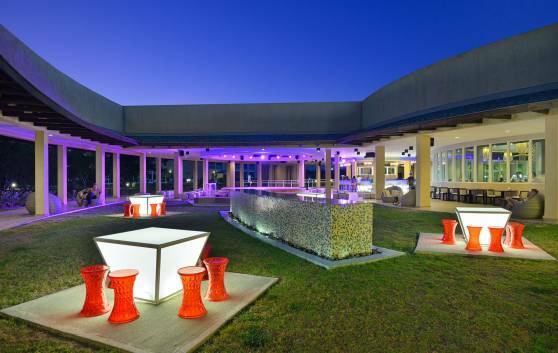 Its staff has created this space where time flies by as you enjoy the music and dancing. Here, in fact, it will be different. 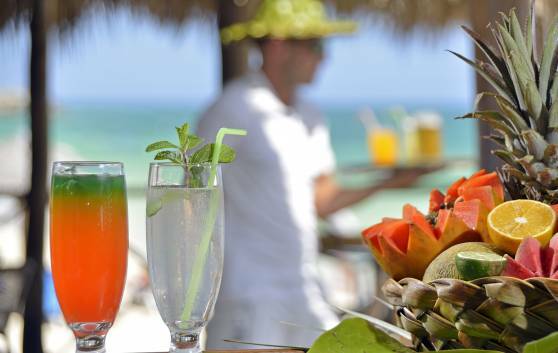 Located directly on the sand, guests can savor a delicious mojito at the Bohío bar and glance at the beautiful turquoise sea, while the rhythmic Cuban music plays in the background. 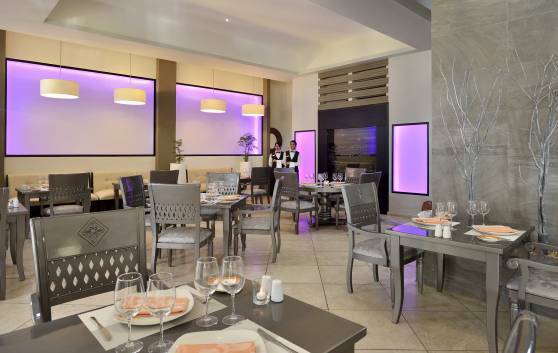 The Cairi snack bar is located next to the main swimming pool, offering excellent snacks 24 hours a day and a mouth- watering grilled lunch menu accompanied by traditional musical trios and quartets. 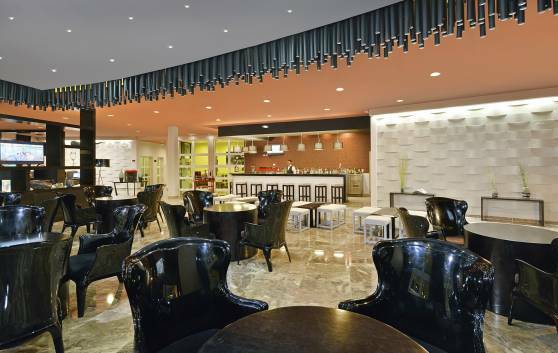 The Cristal bar is located in the spacious hotel lobby and is a favorite among guests who keep late hours since it never closes. 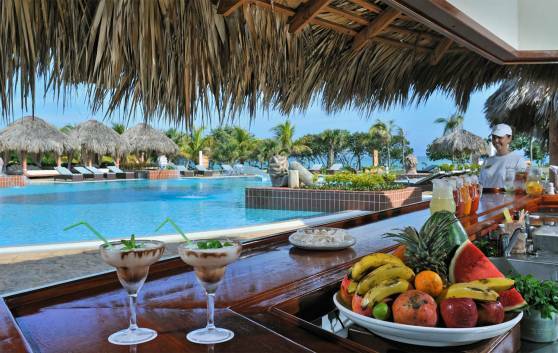 Clients can choose from a wide selection of Cuban and international cocktails, rums, premium liqueurs. 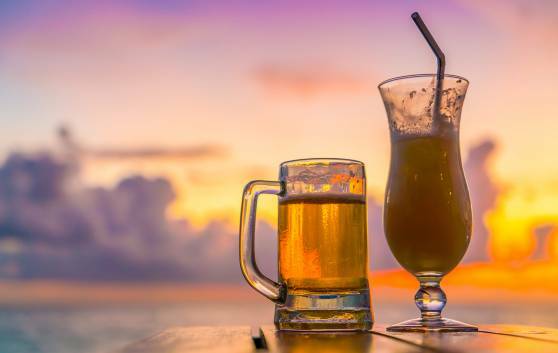 Drinks and cocktails on the beach, so as not to miss a minute of fun in the tropical sun, fine sand and turquoise sea. 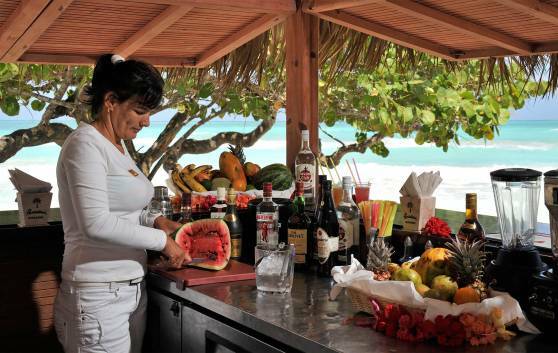 Beach bar named after the beautiful peninsula on which Varadero lies. 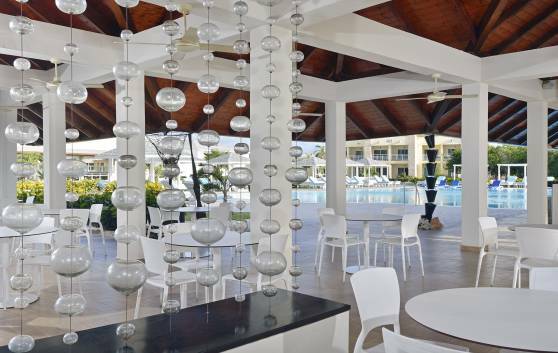 Somewhere to refresh your palate and relax with delicious drinks and the finest cocktails. 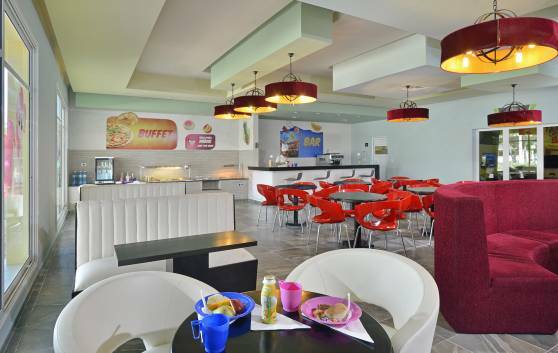 The Kids Club bar is a fun place where our younger guests can enjoy a wide range of entertainment options as well as a delicious menu of fruit, juices and a selection of snacks. 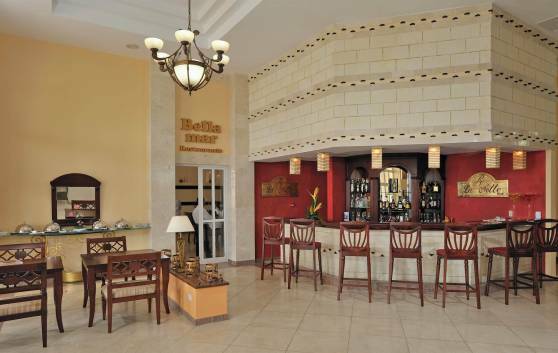 The rustic Toa bar is located in the swimming pool and surrounded by exuberant vegetation. 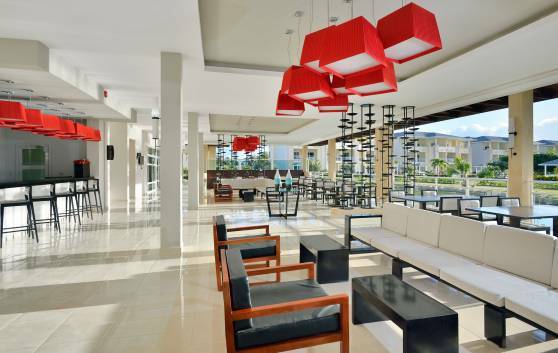 Here guests can sip delicious cocktails without having to leave the cool waters of the pool if they don't want to.